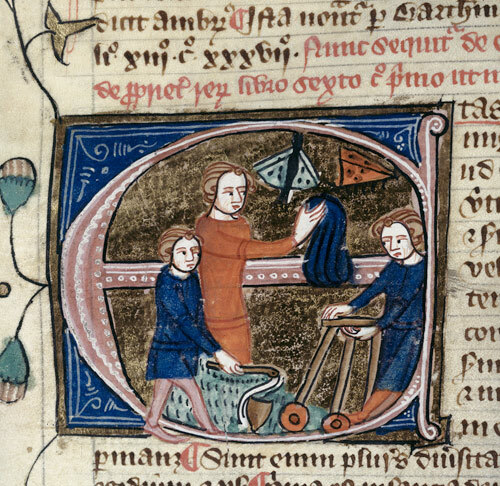 Nicholas Orme investigates toys, games and childhood in the Middle Ages. Children playing with toys and catching butterflies. From the 14th-century Omne Bonum encyclopedia. 'Play up! play up! and play the game!’ The ringing chorus of Sir Henry Newbolt’s famous cricket poem Vitai Lampada (1908) sums up some characteristic Victorian and Edwardian views about play. How children played was important, and adults should regulate and direct it. Cricket and suchlike games promoted endurance, self-discipline and team spirit. These qualities were needed for the health of society and government at home, and of the British Empire beyond.